July has been one of the most productive months I've had in a long time when it comes to my collection. This will be my 24th post of the month, a number I haven't reached since all the way back in September of 2011. The best part is that most of the posts are project related and about cards actually coming into my collection. Today is another UD Showcase post featuring another one of my $0.99 eBay pickups. 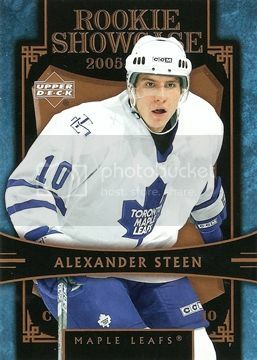 This time it is Alexander Steen of the Toronto Maple Leafs. Steen spent three and a half seasons in Toronto before moving onto St. Louis where he has been ever since. With every new card I add to this set, I find myself liking the design more and more. I wonder why cards from this set don't show up all that often, although maybe it's just me not noticing them. This is the sixth one for my set which brings me to 26/76 for the combination of the Rookie Showcase and Hockey Showcase sets. I never thought I would see the day when I brought a Sidney Crosby card into my collection, but given the fact that he appears on the checklist for one of my set projects, it had to come eventually. Anyway, today is that day as I was able to grab a copy of his UD Rookie Showcase card on eBay recently, and for a great price at that. 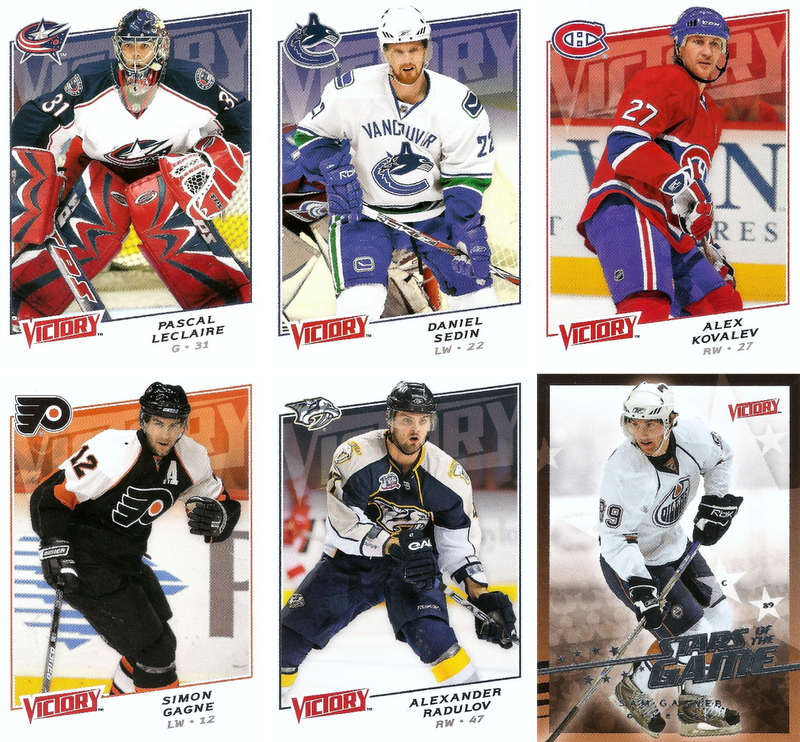 When it comes to the Rookie Showcase set, this is the premier card even though Ovechkin was part of the set too. 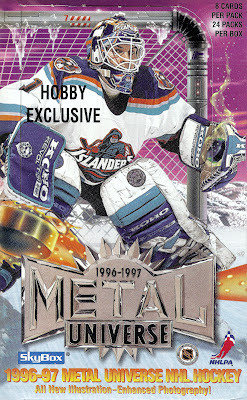 That said, you would think this card would fetch a decent price on the secondary market, right? I guess that depends on what you consider to be decent. I will say that I was more than comfortable with the price I paid for this one. 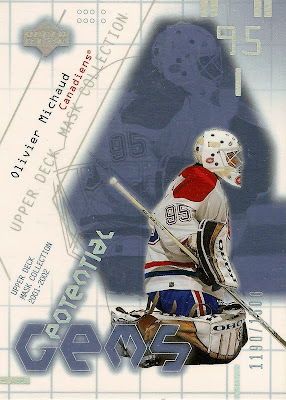 Here's a look at card number 24 from the 2005-06 UD Rookie Showcase set. 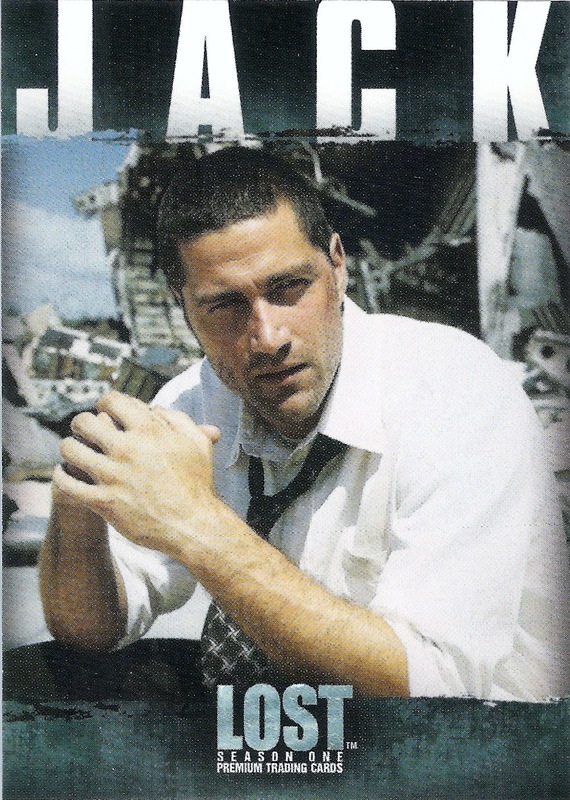 Supposedly there were only a thousand copies of these things produced, but for some reason they seem to be pretty rare on the secondary market. 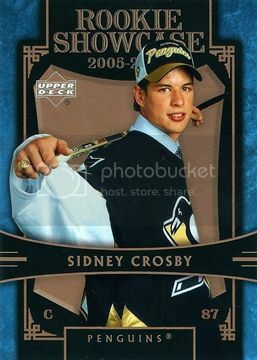 I've seen a few Crosby's from this set on eBay in the past few months, but they were all at ridiculous BIN prices. Like this one for $75 or this one for $100. Wanna take a guess at what I paid for this one? I'll give you a hint, it was less than the $75 example from above. To see if you were close, click here to check out my S&T post on SCF. Nothing better than getting to sleep in on a Saturday morning after five long days of work, am I right? Anyway, before I dive into re-painting the apartment today, I thought I would squeeze in a post showing off the other half of the package deal I mentioned in my last post. Normally with this set, it's difficult to come across even partial rainbows of a particular player. 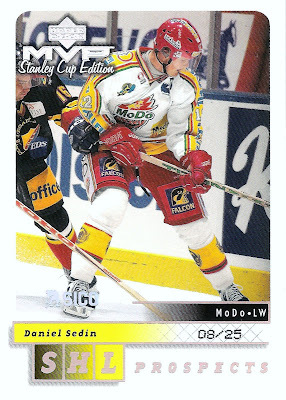 The two Sedin rainbows I got recently were an anomaly, so other than that whenever I see a Gold and a Super Script together, I try to make sure I can land both at the same time. This time it worked, although it cost me a little more than I originally planned. 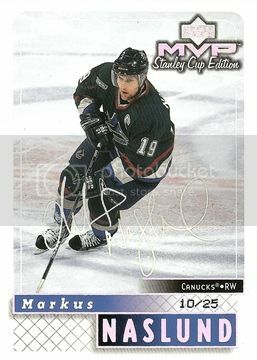 Here's a look at the Markus Naslund Super Script numbered 10/25. This is the 31st Super Script I've been able to pick up for the set. I know I still have an eternally long way to go with this set, but so far it's the pride of my collection and I don't plan on stopping anytime soon. After all, it's not a race with these kind of projects, right? 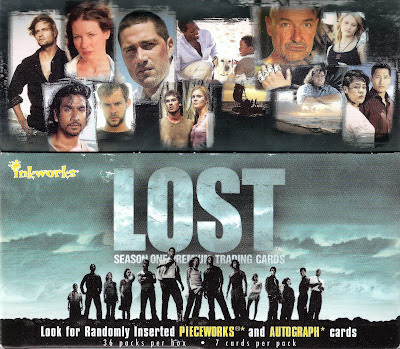 Back to the usual way of picking up cards for this set, eBay. The latest Gold Script addition to the project was part of a pair of cards from one seller I had been watching this past weekend. Needless to say, I won both auctions and I got them in the mail the other day. 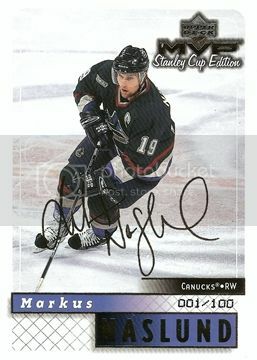 Here's a look at the Markus Naslund Gold Script numbered 001/100. While I ended up paying a bit more than I wanted to for this card, the package deal I got with another important card made up for that. 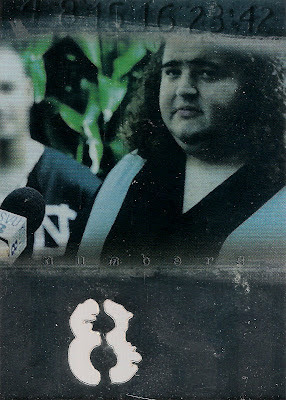 Maybe part of that was the fact that this card is your typical "eBay 1/1" in that it's the first card of the print run. While that's cool and all, I just don't see how that should add all that much to the price of a card, but to each their own I guess, right? I'm getting closer and closer to completing the base set for this project now. Today's post comes from another trade I set up through SCF. It was actually a base for base swap, specifically just within this set, so it was kind of cool to help someone else out with the same set by getting rid of some of the extras from my box break. I sent three cards his way and got these four in return. Out of this group, I have to say the Janney is probably my favorite. The Alfredsson and Bure and prett nice, and the Roenick is the same exact design as the Bertuzzi I showed off from the box break. Too bad the scans don't show how nice these cards really look. These four bring my base set total to 195 out of 200. I can see the light at the end of the base set tunnel now. Hopefully these last five don't take me too long to track down. I should be getting at least two of them here soon, so that just leaves me with three. Talk about deja vu. In my last post I showed off the two Sedin Gold Scripts I received from a fellow SCF member. Today I have the rest of the package to show off, and it's about as close as you can get to a duplicate post without simply copying and pasting. The two Gold Scripts were one thing and more than enough on their own to constitute an epic instance of collector generosity. Well, this guy took it up a notch and included both Super Script versions of the Swedish twins, completing my rainbow for both players. Here's a look at the Daniel Sedin Super Script numbered 08/25. Here's a look at the Henrik Sedin Super Script numbered 03/25. I still can't believe that I got these the way I did. It just goes to show you how great people in the sports card world can be. I only hope that one of these days I can find something like this to just give away to someone in order to complete a set they're working on. One of the things I love about this hobby is the people. There are a lot of really great people, especially in the blogging world, although today the focus is on someone from the forum world. A little while back I posted a show and tell thread on SCF and a fellow member messaged me about sending some 'extras' he had to help out a fellow set builder. Well, those cards arrived the other day and I couldn't be happier. The best part is that this post was only half of the package that came. As you can tell from the title of the post, these are going to be for my MVP master set. Here's a look at the Daniel Sedin Gold Script numbered 023/100. 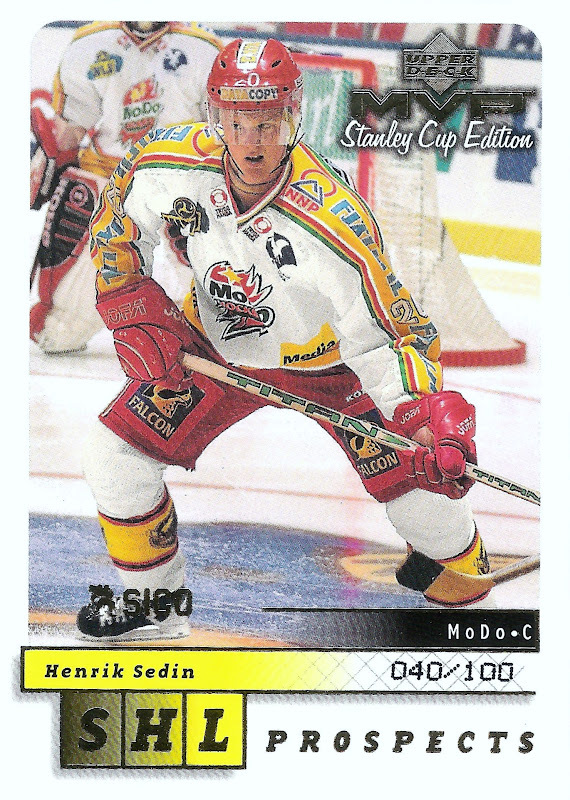 Here's a look at the Henrik Sedin Gold Script numbered 040/100. Ok, I lied when I said the best part was that this was only half of the total package. The best part is that these were not part of a trade or sale, he just sent them to me for nothing in return. Since he only collects the Sedin brothers, I really have nothing to even send back at the moment. If you have any Sedin cards for trade or know someone that does, please check out the trade page over at SwedishTwins.com. Other than my MVP SC Edition base set, this one is the closest one to being completed. Before today I only needed ten cards to finish the set. 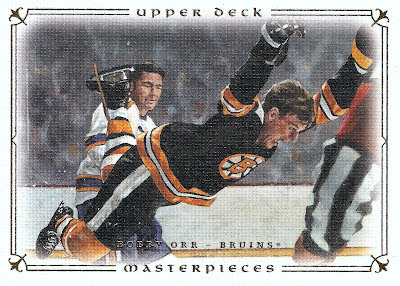 Now, thanks to Sal over at Puck Junk, I am just nine cards away from hitting the 100% mark on the base set. 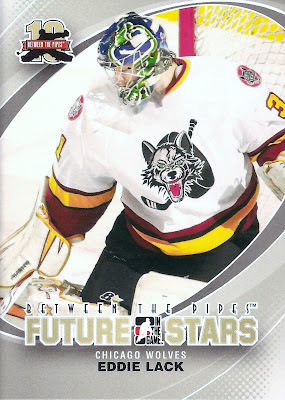 I've got another trade in the works on SCF that should bring me a few more cards closer to completion, so stay tuned for that updated here soon. Once those are in, I should only have five cards left, which I'm guessing will be the five most difficult to come by. Good things come in pairs, well at least in this case they do. In my previous post I showed off another Gold Script from my MVP Stanley Cup Edition master set. 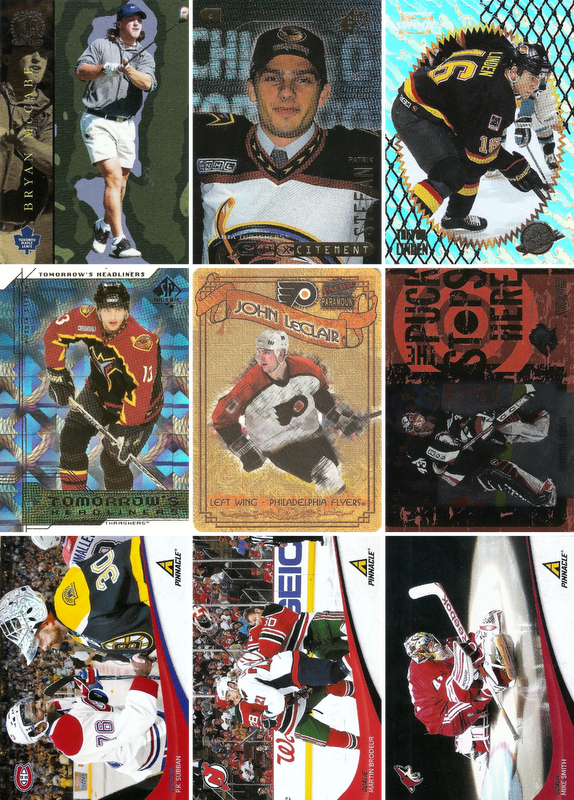 Today I have another addition to the rarer Super Script set, specifically from the CHL portion of the main set. This one I picked up as part of a trade with another SCF member. I received this and a few of the inserts I needed in exchange for an extra Gold Script I had laying around and some cash. 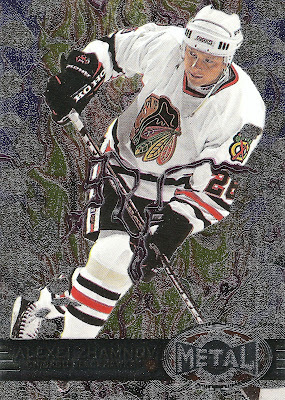 This one gives me 28 out of a possible 220 for the set, or about 13 percent. 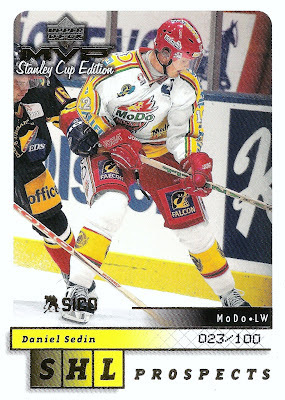 It is also on the second CHL Super Script I've added to the collection, as these seem to be a bit harder to come by than the rest of the set. 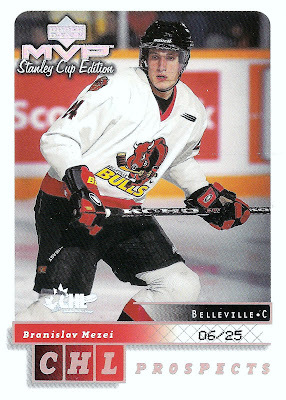 As far as the player actually featured as a prospect on this card, Branislav Mezei, he went on to play 205 NHL games after being drafted 10th overall by the New York Islanders in 1999. In those 205 games between New York and Florida, he racked up just 5 goals and 19 assists. It's been a little while since I've been able to land any cards for my Gold Scrip set, since February actually when I got a lot of six for around $10. Today I only have a single card to show, but hey at least it's one more off the wantlist, right? This time it's a Randy McKay numbered 091/100. 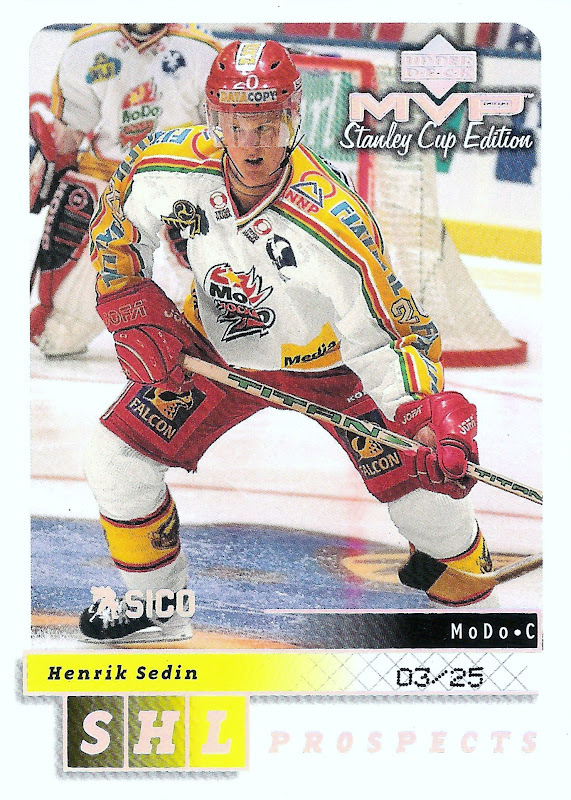 I will always remember McKay from his time with the Devils when they won the Cup in 2000, but I did learn from the back of this card that he started his career with the Red Wings. Never knew that before. I ended up getting this one for less than a dollar before shipping, so the total came in around $3, not all that bad if you consider how old these things are getting. It's the 43rd one I've been able to add to the project, which brings me to the 19.5% mark for the Golds. This is probably the longest I've gone between Howard pickups in a while now. For some reason, I kind of lost some of my interest in the whole player collecting thing the last few weeks and have been preoccupied with a few of my set projects. Lately it seems like the demand for Howard stuff is going up, which I guess is to be expected given the circumstances. That said, it's getting harder to land any of the nice stuff at rock bottom prices anymore, so when this steal came along I had to jump on it. 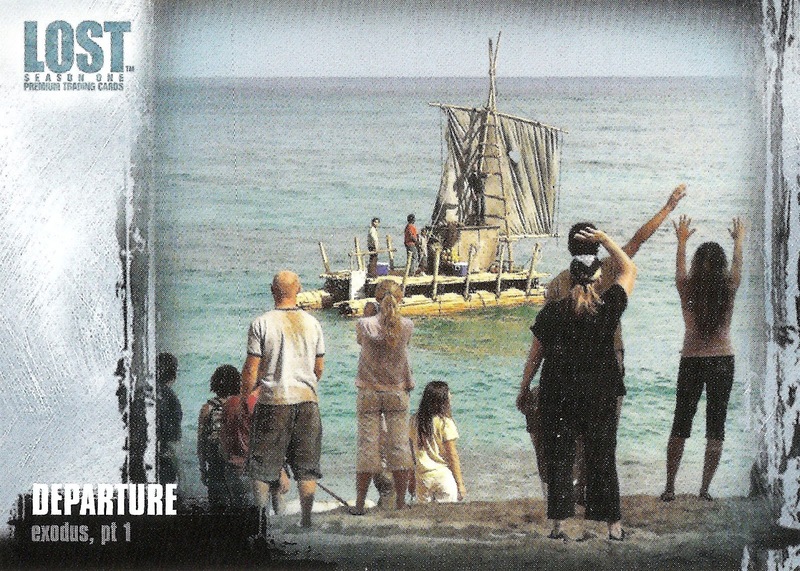 First, here's a look at the card. It's an authentic fabrics jersey from 2011-12 SP Game Used. The cool thing about this set is that each player has their own unique "rainbow" if you will. 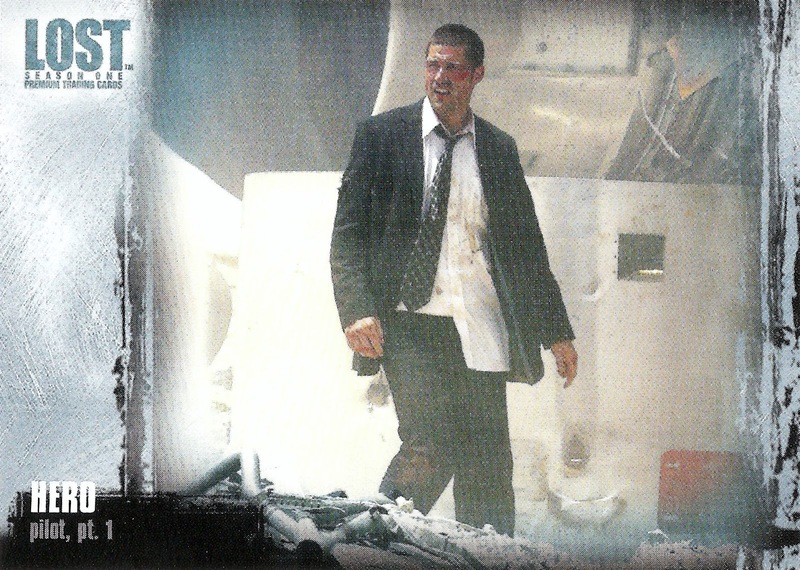 For example, there are four versions of Howard's card in this set. Together they spell out "JIMH" which is a neat way to get collectors chasing more than one of the same card. I call this one a steal because I ended up bringing it home for just $1.50 including shipping. I saw this and similar cards at my last card show priced at sometimes $10 or more, so I would think it would be considered a steal, am I right? I've got one last show and tell post from my Gibraltar show trip. This one is all about the miscellaneous junk I picked up to fill out the purchases I made at the various dime, quarter, and dollar boxes. I thought about turning some of these into "My Picks" posts, but that would've just taken too long, so here's a look at all of them together. This first batch came from two separate tables. The first six were all from a quarter box and they went along with some Metal Universe and MVP SCE pickups so I ended up with even dollar amounts. The rest came from a dime box of commons from the last two seasons. Next we have a nice six pack of quarter box pickups. I was kind of surprised to find a stack of about 50 gold script cards from various seasons in this box. I grabbed some of the better ones I could find like the Thornton. The Tootoo was a nice surprise because I got it before it came out that he signed with Detroit back on July 1st. So it wasn't the biggest card show haul ever, but it was still a good day for me and some of my PC projects. Plus, who doesn't love sorting through box after box of singles hoping for that hidden gem you come across once in a while. I think it's pretty obvious by the title where this post is going. I was lucky enough to come across a nice Bobby Orr from UD Masterpieces at the Gibraltar show for less than $1, so I made sure to grab it just for this project. I've always read a lot about this set, but never really saw any of the cards in person. Now that I have one of them, I have to say this set is pretty awesome. I love the canvas look that these cards have as it goes perfectly with the painted image on each one. This will be the first time you'll get to see one of these "Captured on Cardboard" moments in reverse. I happened to come across one of those history will be made commercials that everyone seems to love and thought I would use one for a change. Right about the 17 second mark is where the painting on the card comes from. It's about time I get one of the iconic moments of the game into this series. 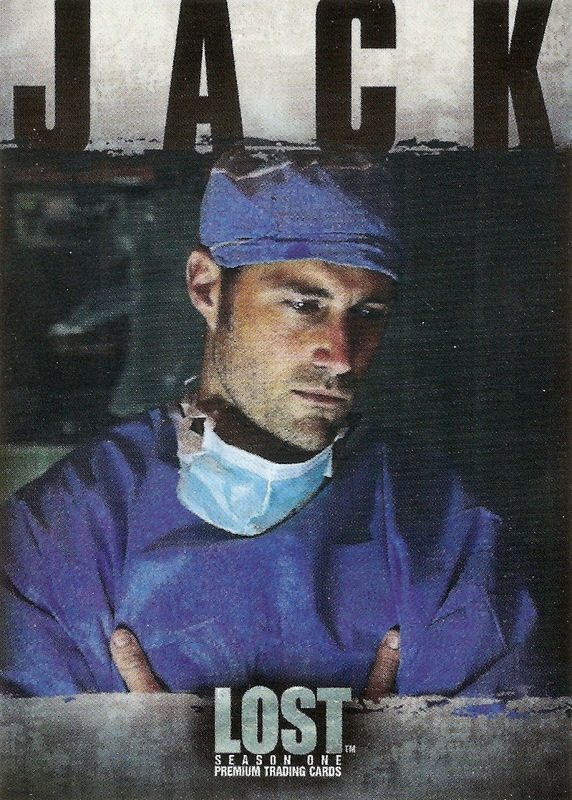 I know it's the easy way out in a sense, but there's no denying the awesomness of this card, right? 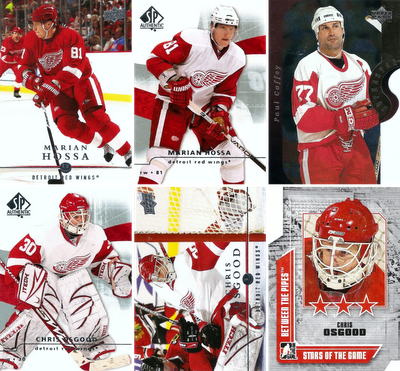 One of the things I decided to do lately was be more on the lookout for any Red Wings cards to add to my collection. I've been a Wings fan my entire life and that was the only thing I "collected" back when I was younger. Since I have several specific set and player projects, I thought it would be nice to have a more general project like this. This means I always have something to look for when I'm sorting through dime, quarter and dollar boxes at card shows. 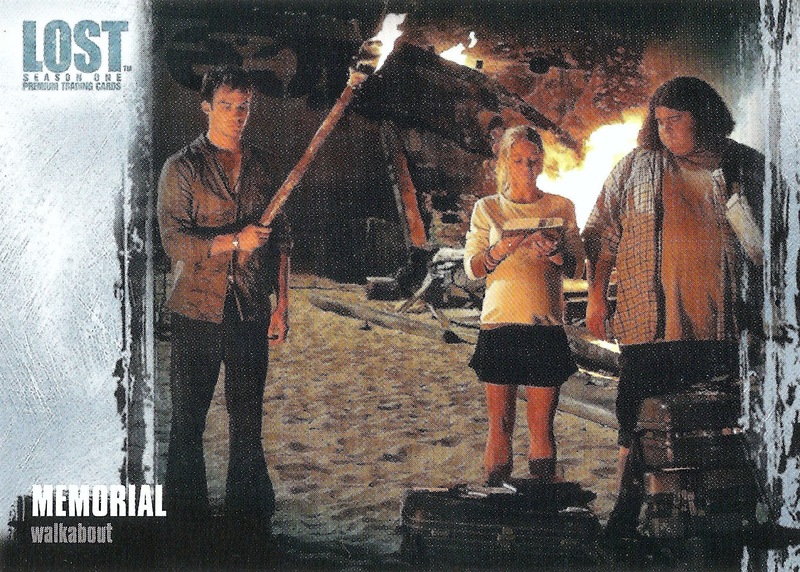 The fire card I have today came from the dollar box, well kind of. 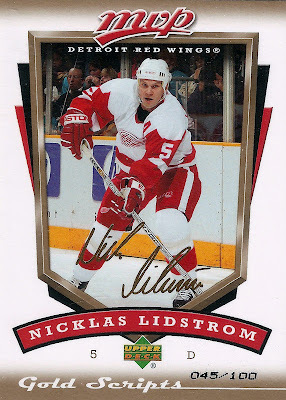 It was marked $1.50, which was a bit of a surprise considering the show was in metro Detroit and it's Nicklas Lidstrom. The Coffey is a pretty cool looking die cut insert and the Hossa's I grabbed because I was a huge fan of his while he was a Red Wing. I think one of the dumbest decisions the organization made lately was choosing to sign Johan Franzen to a gargantuan contract instead of Hossa. 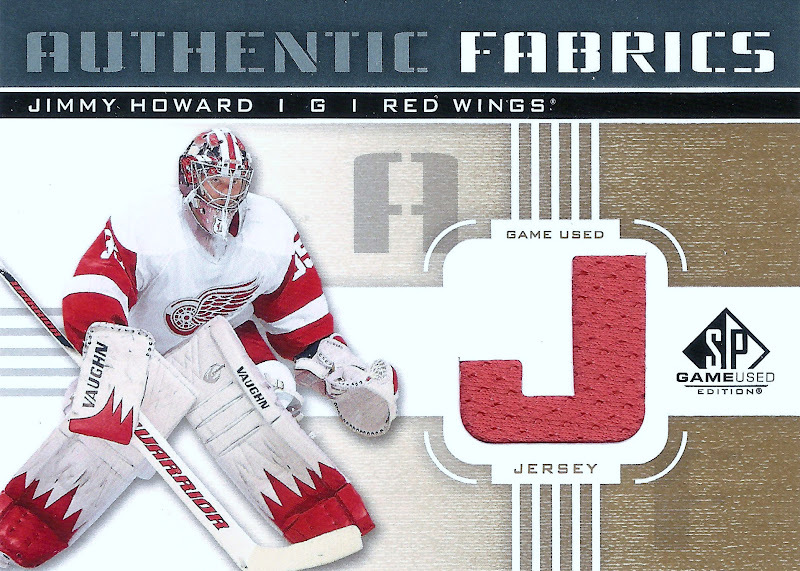 Then there were the three Ozzie's that I grabbed because I like goalies, specifically Red Wing goalies. Time for another one of these pesky pack breaks. 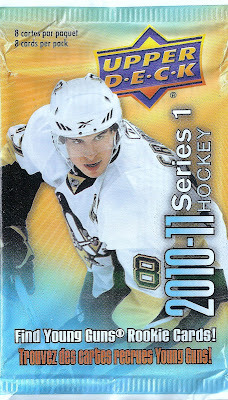 This time its another wrapper with Crosby all over the front of it: 2010-11 Upper Deck Series One. I've busted a few packs of this in the past and I think there was a blaster box in there somewhere too. 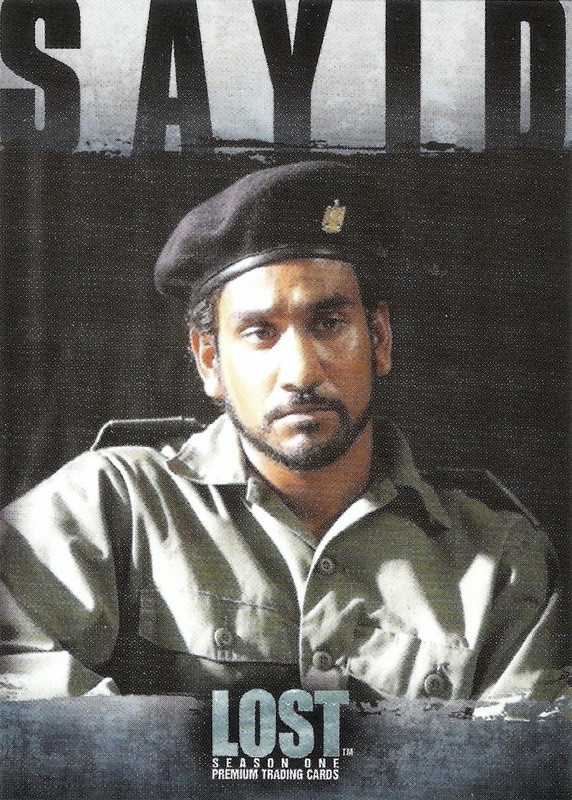 While this version of UD was not my favorite design of all, it could have been much worse. 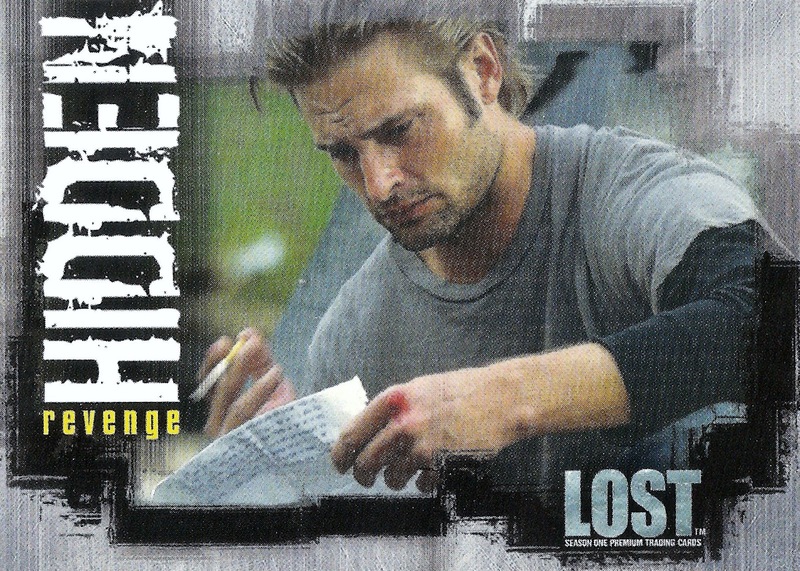 I like how they use the smaller, second picture of the guy's head in the lower right side of the card. That's something that hasn't been around much since the days of Pacific Invincible. Nothing spectacular there, but I did manage to get a Young Gun from a single pack, so it's not all bad. Interesting that all seven of the skaters in this pack were left hand shots, bet you didn't notice that. Anyway, off to the monster box these will go until someday I decided to either complete the set or just sell all of my unwanted singles in a garage sale. I definitely did not save the best for last in case anyone was wondering now that I'm onto the last of the twelve pack breaks from the Target value box. 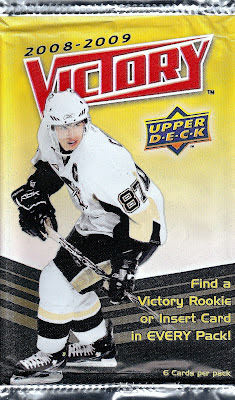 Today we've got a pack of 2008-09 Victory with who else, Sidney Crosby on the wrapper. It's got six cards including a guaranteed rookie or insert. Not really much to get excited about here, not even a single Red Wing or anything for any of my side projects for that matter. Off to the traders box these will go. 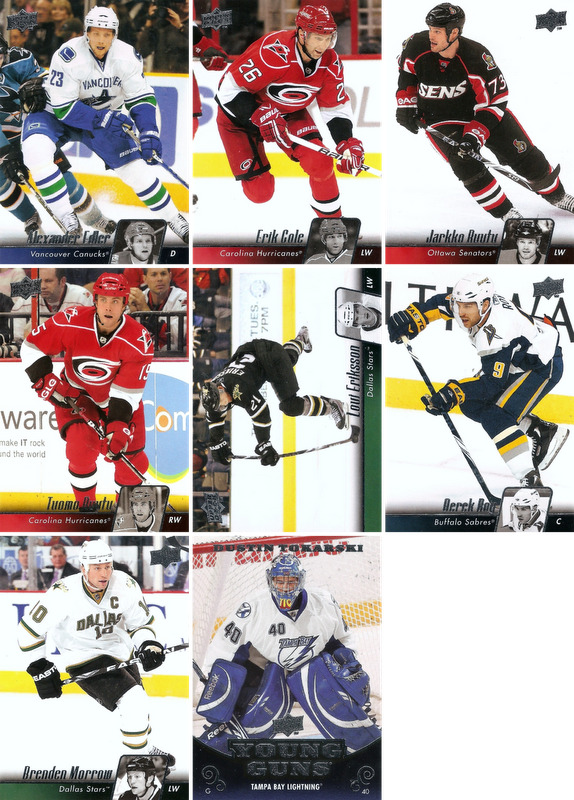 One thing I will say is that I actually really like the Stars of the Game inserts from that year. Other than my existing surplus of base cards when I first started this project, the best place I've found for good candidates is any dollar, quarter, or dime box at card shops and card shows. Today I've got seven new additions to the project from my recent Gibraltar show. This first card is a cluster if I've ever seen one. Almost on the same level as the Jeff Hacket that Brett from MHCO was nice enough to send over a while back. It's got Hutton pictured with the Flyers in his gear from UMass Lowell, hence the red, white and blue. 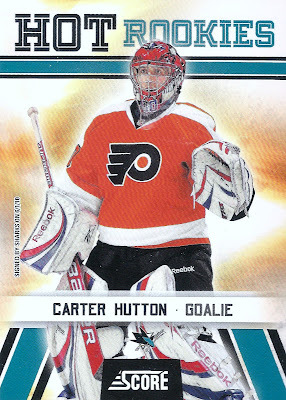 On top of that, the card itself lists him with the Sharks. This next one is a bit interesting too. Not sure where the orange and white pads are from, but the bright yellow mask does not seem to go very well with them, not to mention the black, white, and blue color scheme of the Lightning uniforms. Here we've got another minor league mix up. You can clearly see the mismatch between Lack's mask and the rest of his equipment. The blue and green of the Vancouver color scheme definitely clash with the maroon and gold of the Chicago Wolves uniforms. 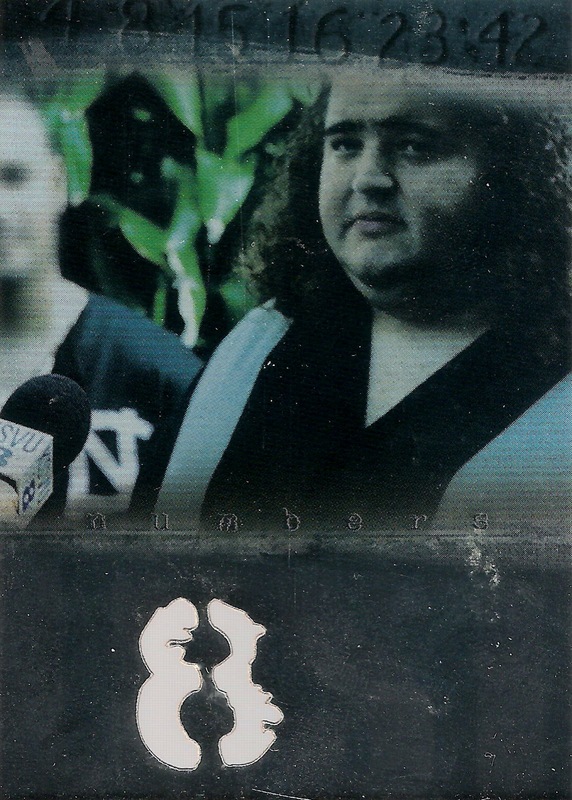 Next is a guy I had never heard of before seeing this card. It set me back about $1, just because it's a Young Gun I guess, but that's ok. 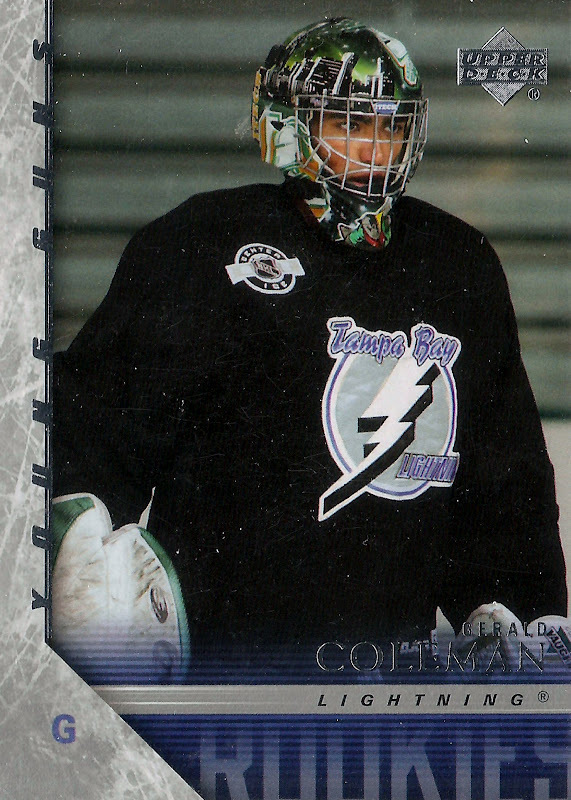 This one has a pretty obvious mismatch between Coleman's London Knights gear and the Tampa Bay Lightning practice jersey. 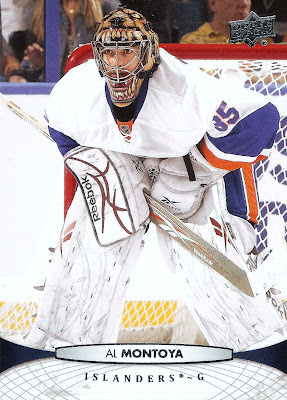 Here we have an obvious mask mismatch with a not so obvious pad/glove/blocker mismatch. You can easily see that Al's mask is meant for a Phoenix Coyotes goalie, which is what he was prior to playing for New York. 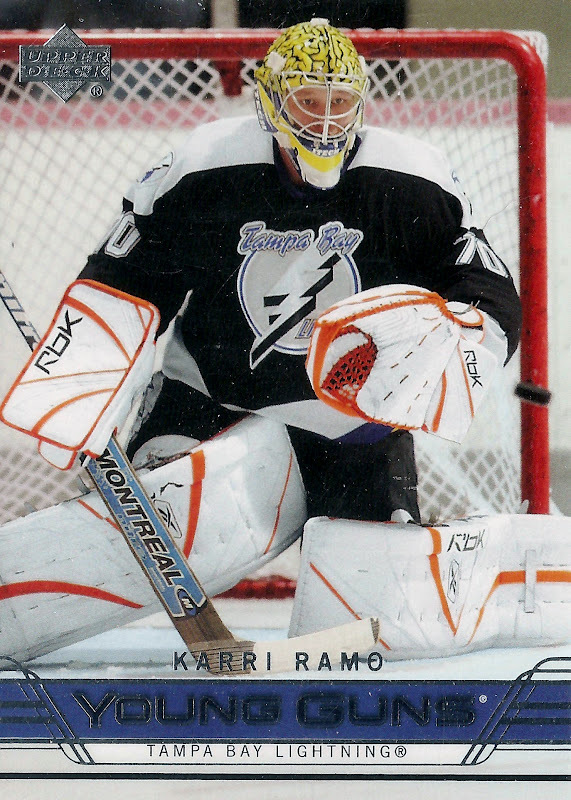 And if you look closely, you can see the Phoenix maroon as the accent color on his pads. This next one is another Jose Theodore to add to the list picturing him with the Canadiens in the gear from his time with the Hull Olympiques in the QMJHL. 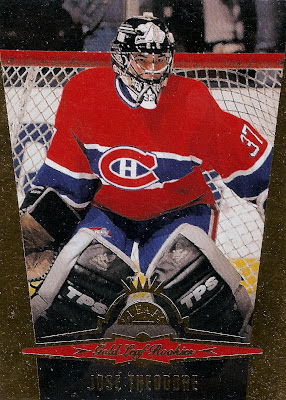 The black and grey equipment is a bold contrast to the Canadiens red, white and blue color scheme. 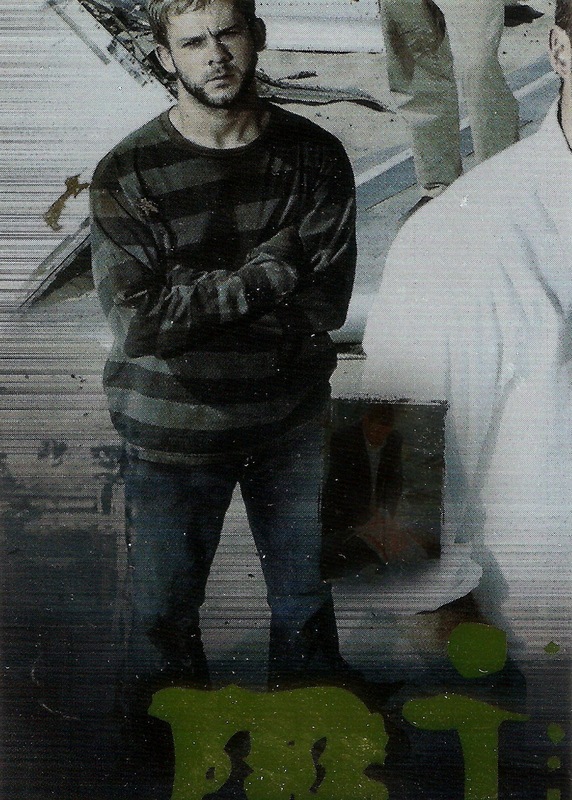 Here's another guys that's made a few appearances on this list. Michaud looks like he would fit right in with the Oilers jerseys of the early 2000's with the copper and blue, but when it comes to the Canadiens jerseys, it just makes for an awful color combination. Not a bad haul for only getting to go through a few tables of commons boxes. 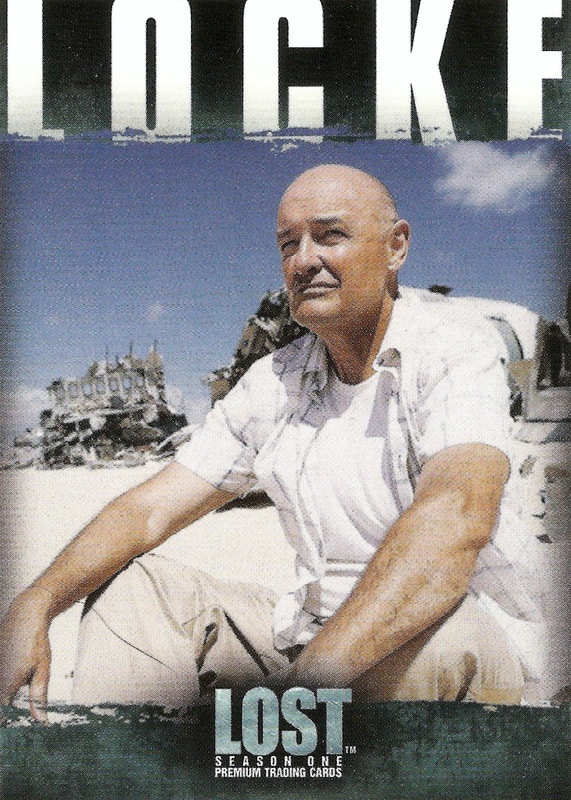 I'm getting closer and closer to 100 cards for this project and would really like to get there. I love this project as it always gives me a reason to thumb through card show monster boxes, even if they are ten for a dollar cards. Finally, after a few years of searching, I was able to track down an unopened hobby box of this stuff. I may have overpaid a little bit at $34 plus shipping from eBay, but that's perfectly fine with me. They are almost impossible to come by and it helped me knock most of the base set off my want list. Now I only need a handful of cards to finish it. There were 24 packs in the box with 8 cards per pack, so not too bad of a deal for the $34 I mentioned earlier. That works out to just under $1.50 per pack. Given the rarity of these boxes and the age of the product, I'd say that's pretty reasonable, wouldn't you? How can anyone not love this set? 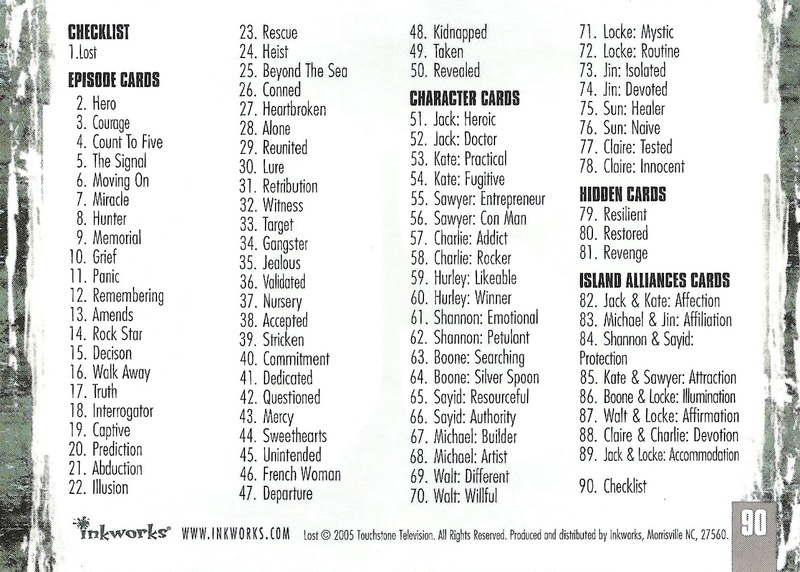 There are so many different designs that you have to go through about 50 cards or so to find one that repeats itself. I just wish they scanned a little bit better, these things look so much better in hand. 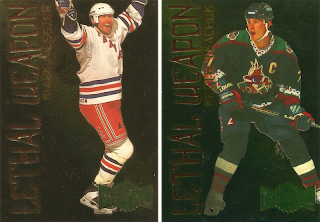 While I didn't get any of the Armor Plate cards I was hoping for, I did manage to pull two of the Lethal Weapons inserts: Mark Messier and Keith Tkachuk. Other than these two I was just glad to get both of the checklists cards from the box, because I need them to complete the set and people tend to not have random checklist cards for sale or trade. Overall though, I really enjoyed this box. 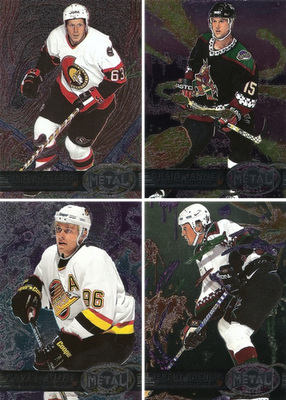 A lot of the guys in this set were in the prime of their careers back in the 90's when I was just getting into hockey and collecting, so that's kind of neat. Bet you didn't expect this when I said I picked up an unopened box at the show over the weekend. It was something a bit different and the price was right at only $15 for 36 packs. That's less than $0.50 per pack, not bad right? 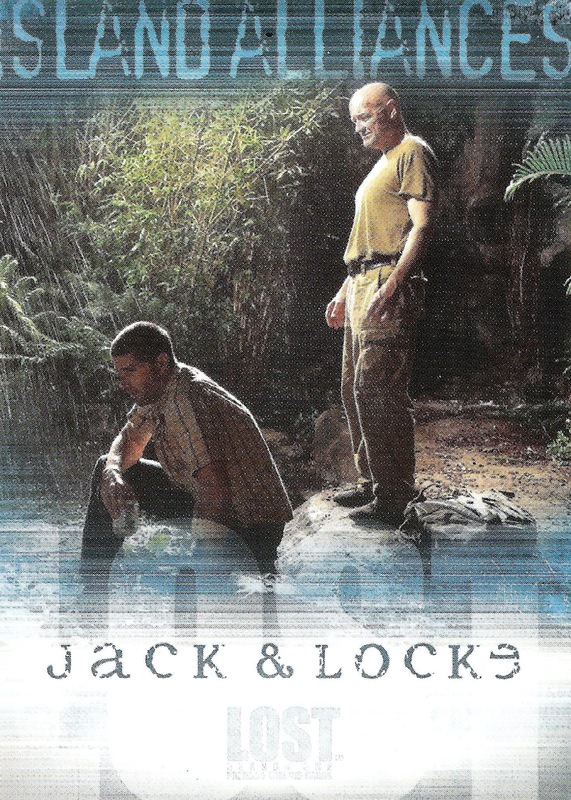 Entertainment cards are something I've known bits and pieces about over the last few years, but I never really got into them until I found that some of my favorite shows (Jericho, Lost, Heroes, etc) had their own sets of cards. Here's a look at the front and back of the header card, which is an excellent idea when it comes to storing a full set in a 100 ct clear plastic case. 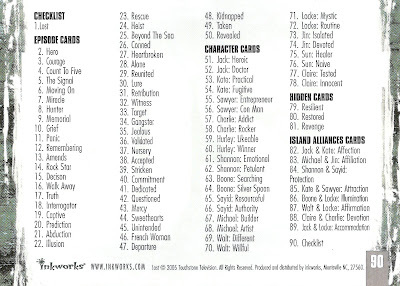 Before I get to the rest of the good stuff, here's a look at the checklist, which was the last one in the 90 card set. As you can see, there are several subsets of base cards, which is nice because this gives you a bit of variety, even if there are only four subsets. 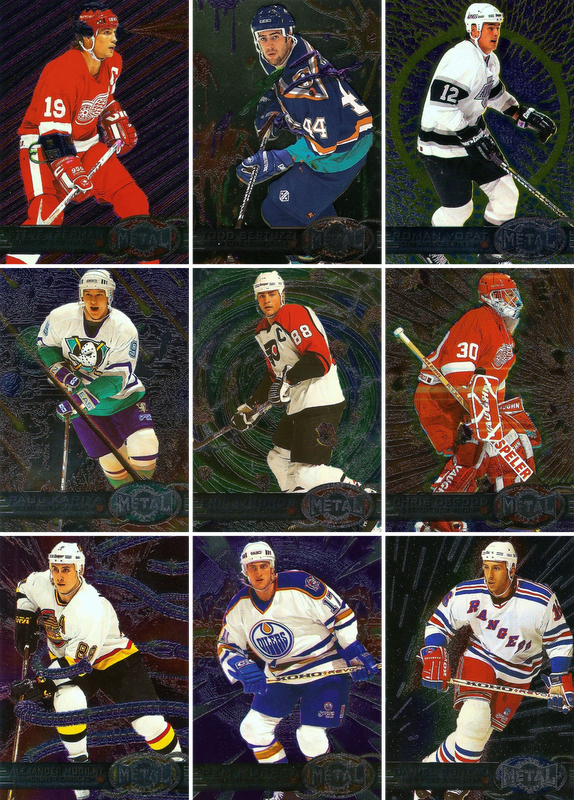 That's it for the 90 card base set, which I somehow managed to not complete through 36 packs. I guess that was the risk I ran buying a repack box. At least the dealer was nice enough to mention that before I bought the thing. Oh well, can't complain. 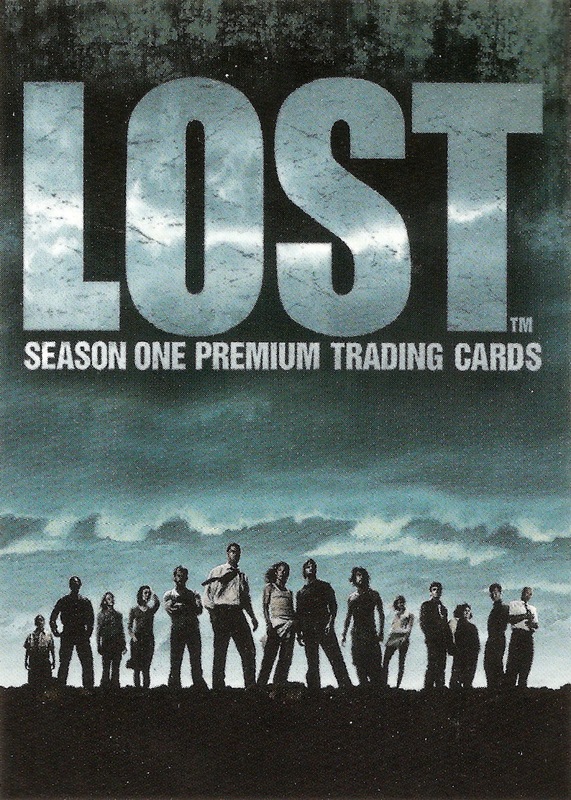 I got a bunch of cards for one of my favorite shows for far less than the price of a factory sealed box. These next two were my favorite two cards of the entire break. 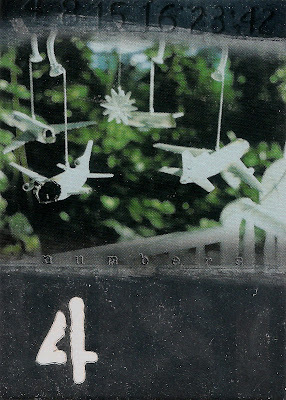 They come from the "Numbers" insert set which focus on the all important 4, 8, 15, 16, 23, and 42. The coolest thing is the way that the numbers are die-cut at the bottom of each card. The back of each of these cards has a little blurb about the number. 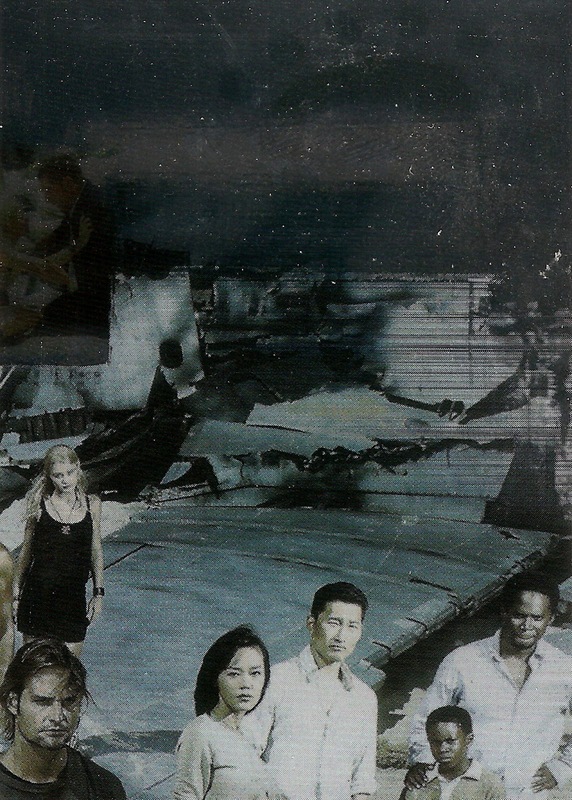 For this one it says, "These mysterious numbers appear in the lives of the survivors of Oceanic Flight 815, but do they hold some special significance or are they merely coincidence? 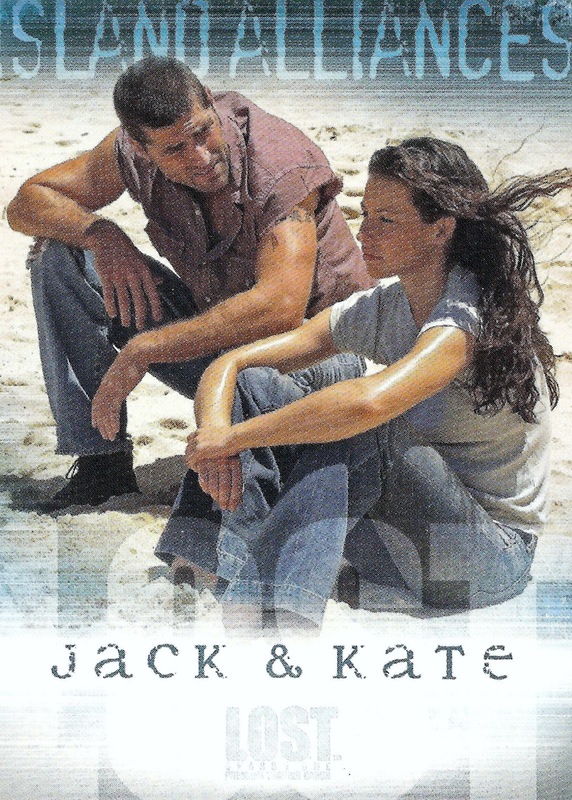 Claire Littleton, who was 8 months pregnant when she arrived on the island, dreamed of 4 tiny planes hovering over an empty cradle." 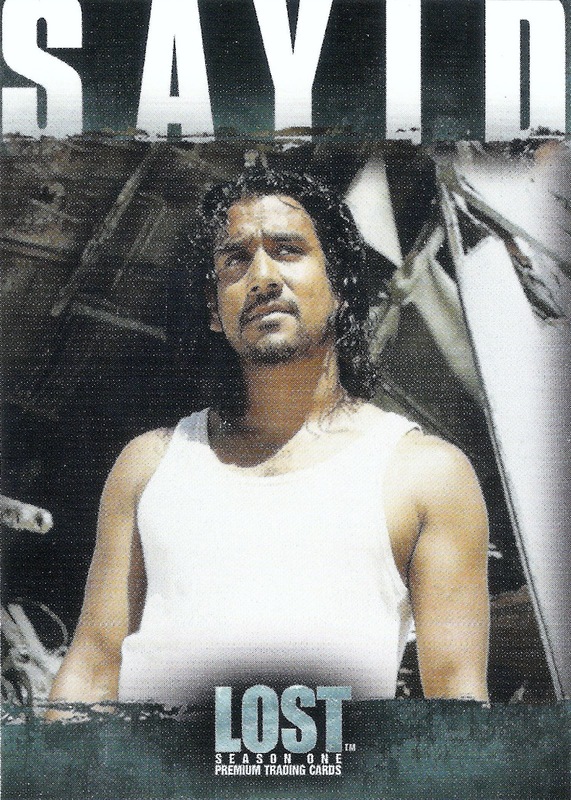 And for this one, the description says, "Hugo 'Hurley' Reyes played the lottery using the numbers and won big. 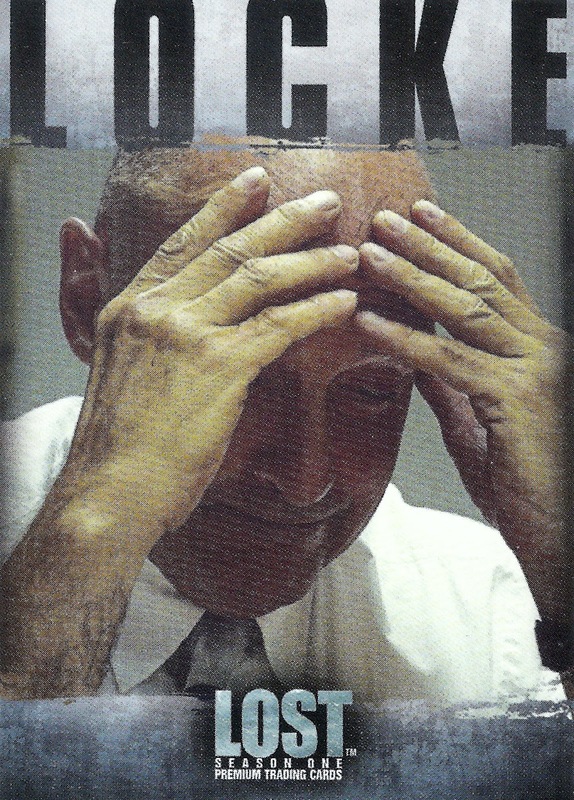 Local television stations, including Channel 8, interviewed him." That's it for this adventure in box breaking. What do you guys think? Its nice to see something different than you're used to once in a while isn't it? By the way, are any of you guys Lost fans and have you ever collected cards for the show or for other shows?